The WhatUsersDo platform supports a mix of different instructions specifically designed for UX testing. Here's a breakdown what the different User Instructions are, and when to use them. You can find the user instructions by navigating to Start a Test > Test Script. 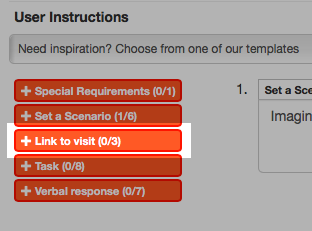 From there, clicking on an instruction type from the menu on the left will add it to your User Tasks list. 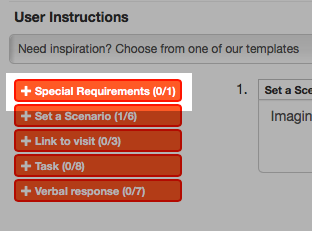 This should be used when asking users to prepare something specific for the test. 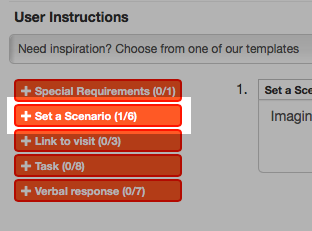 Set a scenario for users to put them in the frame of mind of one of your real website visitors. This will help to encourage more authentic behaviour. This is where you can insert a link (URL) to the website, prototype or digital asset you wish to test. Remember that the URL must begin with http://, https:// or www. to be recognised as valid! This is something that users should do, or a goal they should accomplish, that the site or app has been built for. 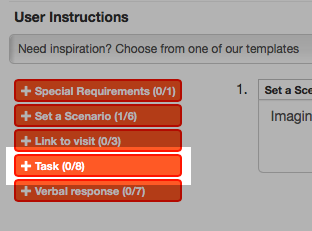 With this specific User Instruction, we also ask users both whether they completed the task successfully, and how easy or difficult it was to complete the task. 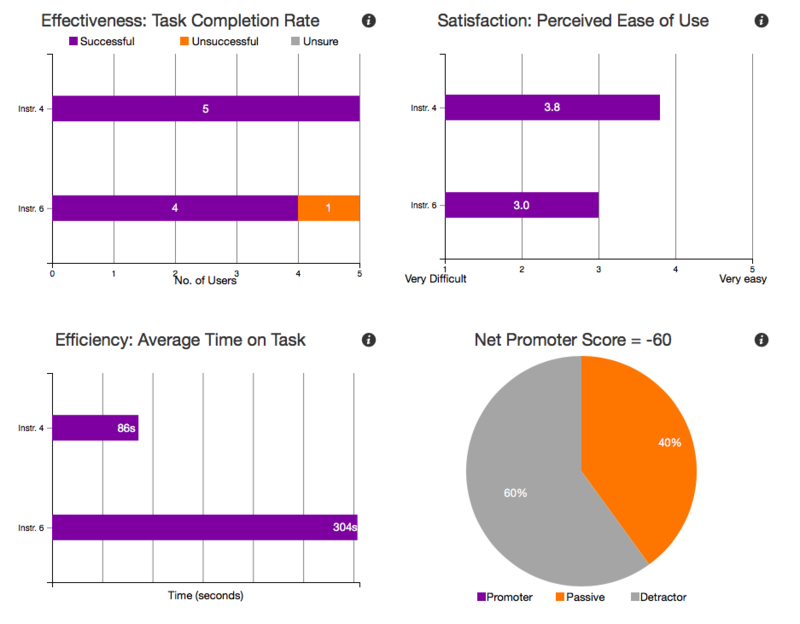 This is how we calculate both the Effectiveness: Task Completion Rate and the Satisfaction: Perceived Ease of Use metrics you see on your dashboard, as well as the Efficiency: Average Time on Task metric! 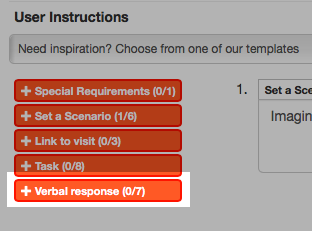 This should be used when you have a question that users speak their answer to out loud—it's best used when you don't want to set a specific task for your users, but do want to understand what they're thinking. Was there any information missing from the product page? Say who your current home insurance provider is—if you can remember!